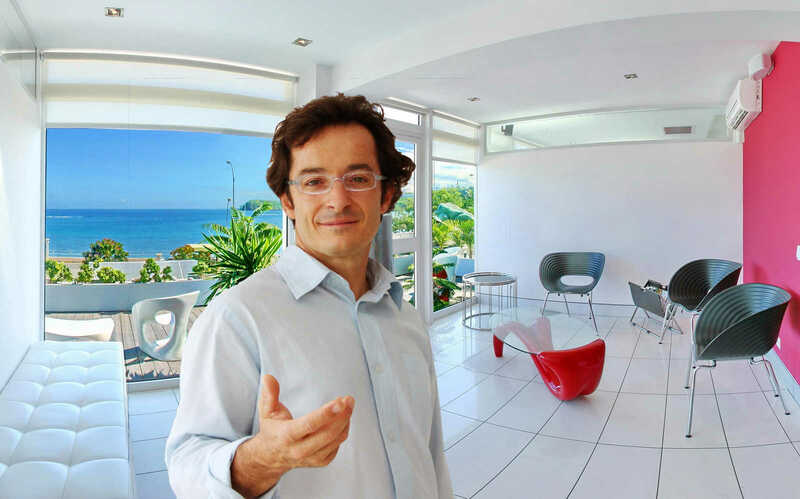 Noumea Dentist and Dental Surgeon Dr. Jean-françois Janin, expert in dental implants and oral surgery. We provide a full range of dental services from general dental health care and aesthetic dentistry to complex dental implants and treatment of gum disorders. At our clinic we use the most advanced and effective equipment and techniques. We want you to have the most beneficial oral care treatments available today. Enjoy our caring support in tastefully decorated lounge and dental care rooms and even a panoramic view of Noumea's favorite swimming and sunning beach. The heart of Noumea's International Tourism District.